A jewelry rework for Sue Canavan. 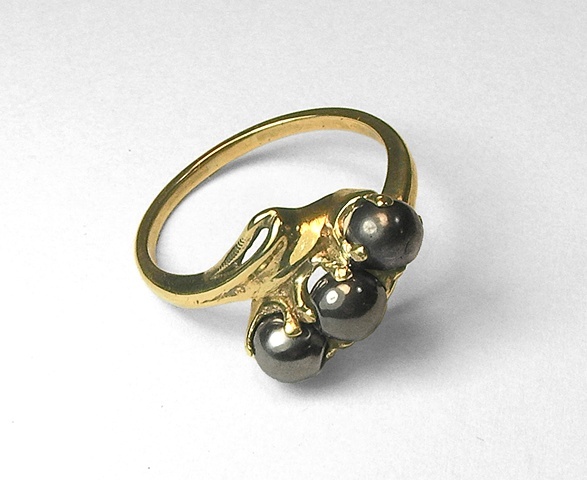 This ring was missing it's original pearls.. I've always thought the steel shot that I tumble my pieces with look like black pearls and I loved the idea of combining steel & gold.